The Harken Hoister is the best bike storage accessory you'll find. Works for all types of bicycles (city bikes, road bikes, hybrid bikes, mountain bikes, etc. ), mount it on the ceiling in your garage, apartment or shop and easily lift and store your bike in unused space. 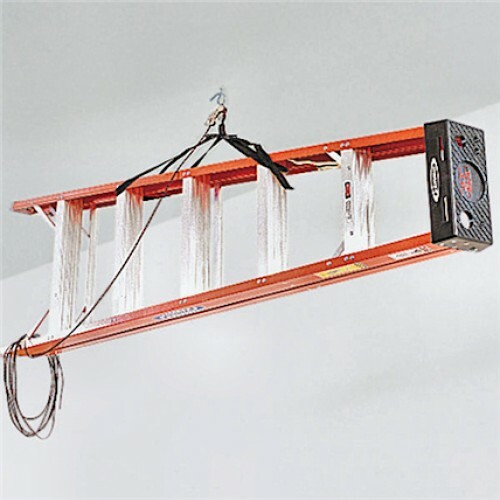 Also works for ladders, lawn equipment, virtually anything under 45 pounds! 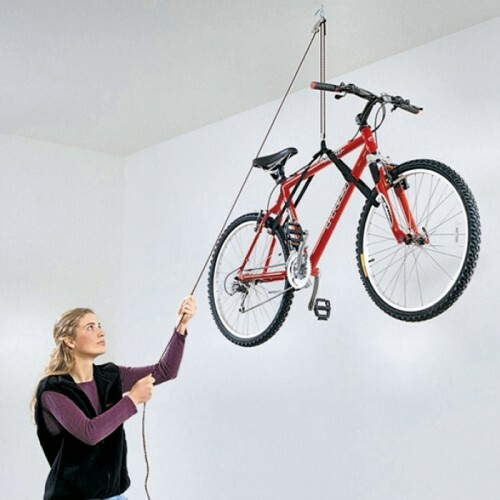 Superior to bike racks, hooks, wall mounts or other storage organization options because your bike hangs in often unused ceiling space. Roll your bike under the lift and store it quickly and easily, or mount it above your garage parking space and store it directly from your car or truck. Designed for one-person operation. 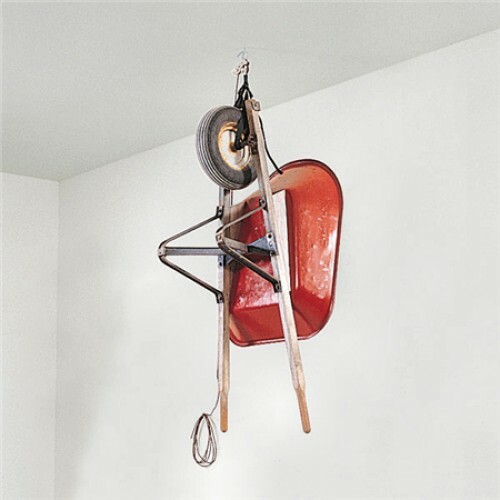 Raise and lower bicycles with a single control rope. Patented design lifts and lowers loads evenly, regardless of weight distribution. Self-locking safety cleat grips instantly if the rope is accidentally released. Stainless steel hardware, double-braid rope for strength, durability, long life. Everything is included for easy installation. The Harken Hoister is the best bike storage solution you'll find. 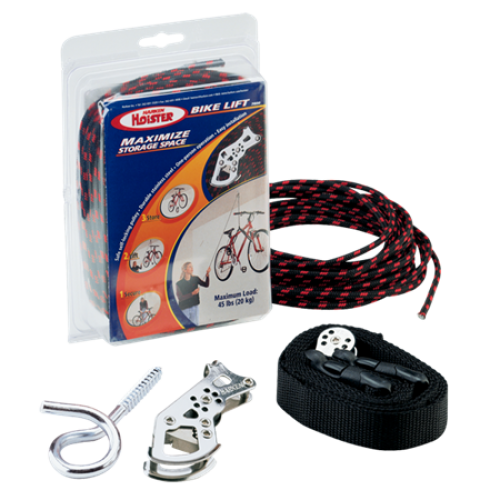 Works for all types of bicycles (c..